My name is Scott Pedersen. I love helping others and am very fortunate to get to follow my passion. I started teaching martial arts in 1993 and, since that day, have never stopped. I tell people who are looking into the martial arts to first ask themselves ‘What is it that I want to accomplish?’ Do you want competition, fitness, self defense or something else entirely? If personal protection (and the safety of your loved ones) is your primary goal I can help! 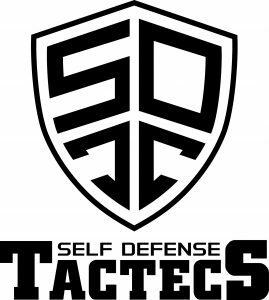 I teach a no-nonsense, reality based, program called Self Defense TacTecs. TacTecs is an abbreviation of ‘tactics and techniques’. The system focuses on highly successful moves against common dangers and threats. The course is comprehensive and prepares you for situations as diverse as: how to control a violent person without harming them, to the extreme opposite of protecting yourself against multiple armed assailants. Just a few of the other ‘bad day’ situations covered include dealing with larger opponents, being jumped and what to do if you are down on the ground. Self Defense TacTecs intelligently builds your self-protection ‘tool box’ from the ground up. You learn both how to effectively execute moves and understand why they work. Another key part of TacTecs is that, from the start, it teaches you how to handle hostile encounters using the natural weapons of your body. This is important because a person who knows unarmed defense is always armed. Self Defense TacTecs is an adult program and is appropriate for teenagers and up (the oldest student to train with me was 82 years old). Though the training will improve your balance, coordination, power and speed, nothing we do requires extreme athleticism; you can use its techniques over a life time. We develop your protection skills around your physical abilities, giving you effective alternatives that will work for you. In addition to the benefits mentioned above, Self Defense TacTecs classes are friendly and fun which makes training with us an activity you’ll look forward to. Experience Self Defense TacTecs for yourself, come and TRY 2 CLASSES!